A community is built and shaped by the people that live, work and share common interests and goals. On the Great Northern Peninsula we have strong communities and leaders that have big ideas and use innovation to create new jobs, opportunities and experiences. Glacier Glass, Englee, NL is shining example of a newly founded social enterprise that meets those interests and goals for local residents, the greater region and those visiting to experience and take away a little piece of the rock at the end of the winding Route 433. This initiative is placing Englee on the map as a destination, if you want a unique and authentic rural experience. I look forward to seeing the end result after the product has been fired up in the kiln! Local area residents participated in a several week long program and learned this particular craft making incredible product. The concept of training local people to make unique glass art products, has proven its worth that we are open to trying new initiatives in our small communities and that we have hidden talents we may never have had the opportunity to exhibit. Glacier Glass now gives anyone the opportunity to participate in a class, make their own product at a rate of $75.00 a session. If anyone would like to book a session, please contact 1-709-866-2711 for more details or visit Glacier Glass on Facebook. Also their shop has a number of exquisite pieces for retail if anyone is interested in a special gift. 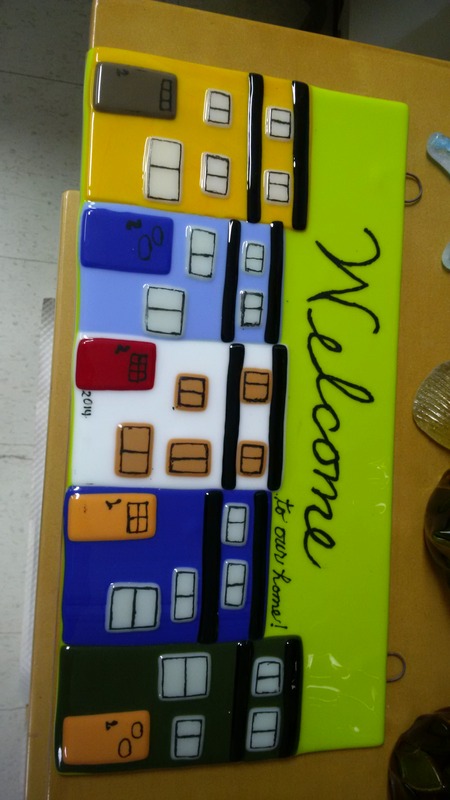 Lots of unique Newfoundland & Labrador items available, holiday and special occasions too! There are many opportunities to expand to wholesale, expand into various retail outlets, continue training sessions and offer learning vacations to those wishing to come, stay and experience all the Great Northern Peninsula has to offer! The Great Northern Peninsula is poised for growth because we have exceptional community leaders, ideas and innovation that continue to make big things happen in small communities. Our rural landscape is changing and we are the catalysts changing that landscape! Posted on October 28, 2014, in Art, Business, Community Economic Development, Heritage, Job Opportunities and tagged art, business, community, englee, glacier glass, glass art, innovation, Learning, Newfoundland and Labrador, Rural, tourism, Travel, unique gifts, vacations. Bookmark the permalink. Leave a comment.